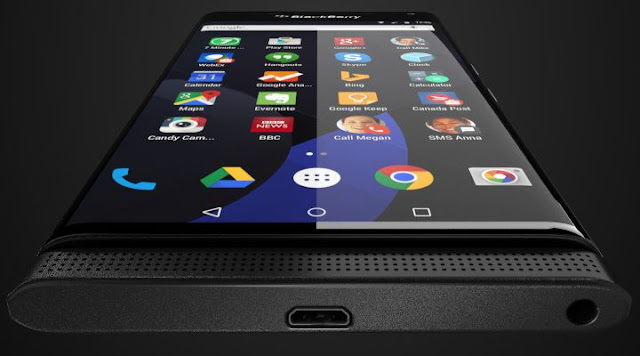 BlackBerry plans to launch a slider smartphone powered by Android operating system. Codenamed BlackBerry Venice, the handset is bound to AT&T in the United States, but it might arrive at other carriers as well. A completely different Android smartphone might be launched by the Canadian company later this year as well, but this is the first time we hear about it. It looks like a picture of an Android-powered BlackBerry Passport leaked earlier today along with information about Venice's upcoming release at AT&T. Now, the same @evleaks published a press render of the unannounced BlackBerry Venice. The device looks very stylish in the picture, but we're hoping the real thing will be quite the looker as well. The image leaked shows the bottom side of the BlackBerry Venice, which features the microUSB and 3.5mm audio jack ports. The physical QWERTY keyboard that Venice is expected to pack is not shown in the picture because the slider is closed, but it surely has one. We also get to see some of the apps that will come preloaded on the BlackBerry Venice. Beside the usual Google apps and services like Maps, Drive, Chrome, Hangouts and Photos, we can also see two Microsoft apps: Skype and Bing. Unfortunately, there's no BlackBerry-related service or app showing on the phone's display, so we must assume they have been left out from the picture or they might be listed on the second page of the drawer. Aside from that, we're left with the information we got from previous rumors like the fact that the Venice will be powered by a hexa-core Qualcomm Snapdragon 808 processor and 3GB of RAM. BlackBerry Venice is also said to sport a 5.4-inch capacitive touchscreen display that supports Quad HD (2560 x 1440 pixels) resolution, as well as 18-megapixel camera in the back. In the front, the smartphone will pack another 5-megapixel camera for selfies. The Venice is expected to unveil sometime this fall and will probably make it to market in November, but the information has yet to be confirmed by BlackBerry.